The power of social media in today’s competitive business environment cannot be underestimated. With so many social media platforms at your disposal today, you cannot afford to ignore their immense potential to help you market your business more effectively. Businesses across all sectors are scrambling for a piece of the pie—online car dealerships, eCommerce sites, gaming sites etc. In fact, even online trading sites such as CMC Markets are using social media to grow their ever increasing customer base. A great majority of young people have at the very least one social media account. According to a recent study, about 33% of young people prefer to use social media to communicate with businesses. About 35% of baby boomers also use social media. This is a huge market that you should do everything in your power to take advantage of. Social media campaigns cannot be successful if they’re run blindly and without clear goals right from the start. With social media, the secret to success is in engagement and creativity. You need to keep your audience engaged with interesting and creative content so that you can inspire them and effectively market your brand to them. If you have been struggling to leverage the ever growing number of social media users to boost your business, you can learn a thing or two from businesses that have run very successful social media campaigns in 2017. You stand to attract much more attention from social media users by centering your social media campaign on upcoming public events. This is a tried and tested strategy that has had very high success rates. You should start your campaign in good time so that it attracts as much attention as possible by the time of the event. The more people mention your brand and share your content, the more popular your brand becomes, and this is a dream come true for any business. With social media, your creativity is what sets you apart from your competition. You need to have a campaign that is interesting and unique to your brand. 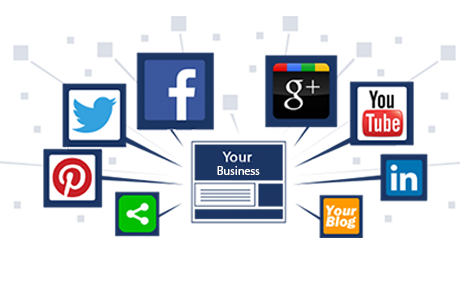 Your choice of social media platform is also a very significant determinant of how successful your campaign will be. If you are targeting millennials, Instagram is your best bet. You can share your content across all your social media platforms to ensure it reaches as many people as possible. The hashtags you use for your campaign also matter. While your content needs to be entertaining to keep your audience interested, it also has to be informative and add value to the viewers. You can easily combine these two aspects and have a campaign that is both informative and entertaining. Take advantage of visual content to ensure that even the illiterate can understand your campaign and take part in it. Most importantly, keep your audience engaged throughout the campaign. Use your social media pages to get information from your audience and share the same to boost your engagement levels. You can tweak this a bit by making it a competition and rewarding your audience with free products or services every once in a while. You will be surprised at how much more engaged your audience will be. You can partner with an authority brand in your industry or in a totally unrelated industry and come up with a killer campaign that will benefit both brands involved. You will be able to combine your ideas and promote each others brands to each others audiences. This will significantly increase your reach and consequently boost your conversion rates. As is evident from the above, taking advantage of social media to boost your business is not as difficult as many people think it is. The key to a successful social media campaign is to set clear goals and keep it simple. The campaign must be focused on what your audience might be interested in, and not just what you think will work. Working with other companies to promote each others brands is also a very effective strategy that is gaining popularity because of its high success rates. With the fast changing trends in SEO and social media marketing, keeping up with the trends is a must if you are to stay ahead of the competition. Otherwise, you risk sinking into oblivion.